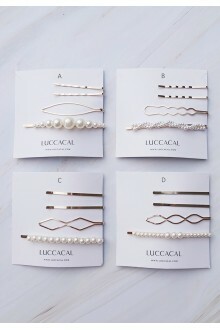 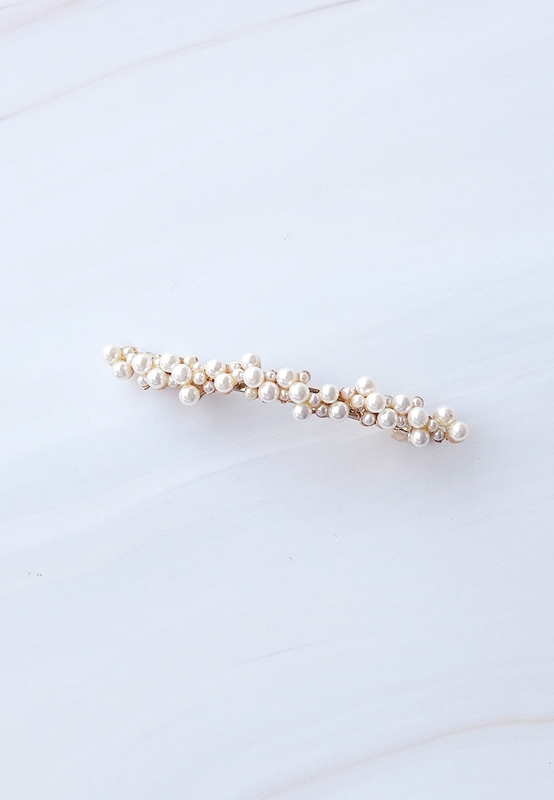 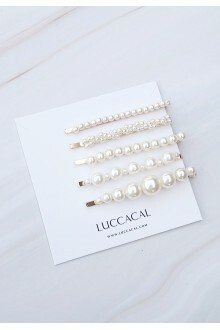 A row of gleaming pearls adorn a simple brass barrette. 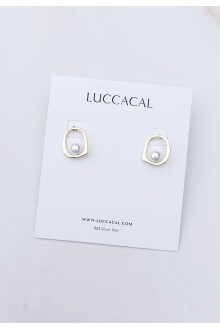 Encrusted with a string of faux-pearls, it’s made from gold-toned hardware and fitted with a spring-back closure; we’re wearing it with a tousled half-up do. 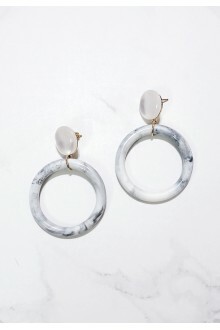 DetailsMix and match for a look you love with this three piece of stud pack earrings, featuring..
DetailsGlossy, marbled acrylic accents lend modern color to this hoop stud earrings. 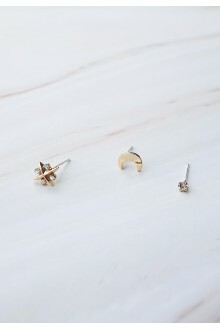 Content + ..